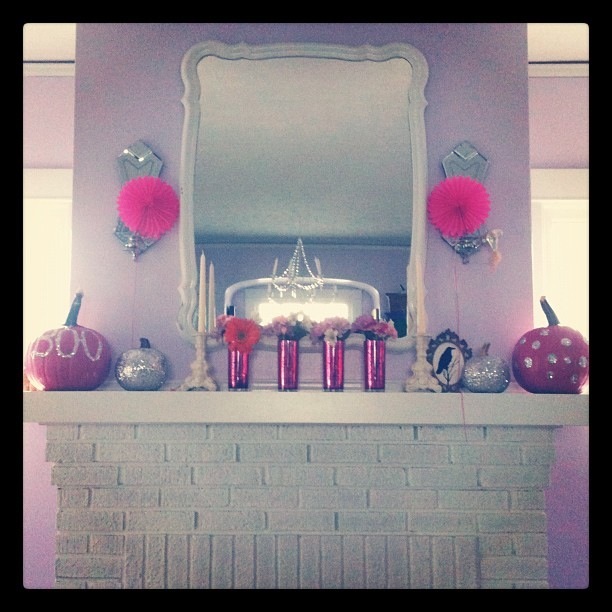 I hope it’s OK if I share a few Instagrams of our Halloween mantle last year. I would like to say I have new, and never seen before images of spectacular Halloween décor, but the truth is my mantle still looks just like this. Do you ever get in a slump around certain Holidays? I usually go overboard with all of them, but this year something is off. My family experienced a profound loss last year, just as Fall was beginning to settle herself around us. I cannot say for certain that this is the sole reason that I feel rather indifferent towards Halloween this year, all I know is something has changed. I am longing for the Holidays that mean huge family gatherings, laughter that makes you feel absolutely buoyant, and the warmth and solace that comes inherent in my crazy family. So, for now I will share a Halloween past, and hope that next year there is shift, and I am once again able to enjoy the familiarness of a Holiday I truly adore. 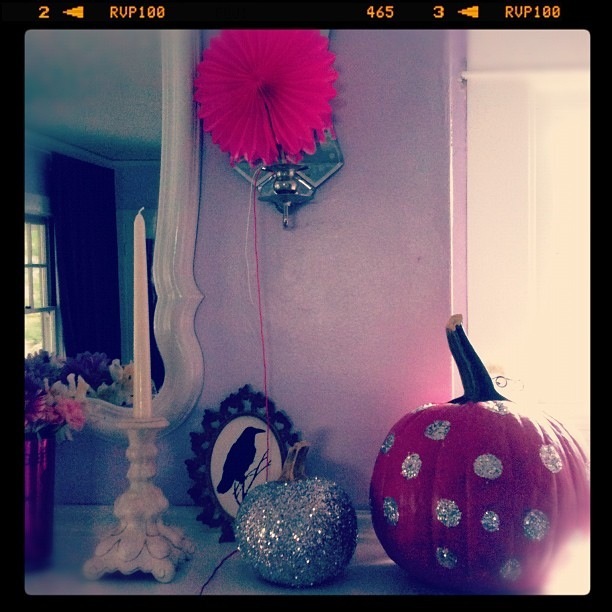 Without further ado here are a few images of our glittery pink pumpkins. My husband made the crow screen-print that is in the Baroque frame. I kind of love it.